What Should Marketing Managers Learn From Tomorrowland? I won’t blame you if you aren’t really interested in Tomorrowland, the electronic dance music festival held annually in Boom, Belgium. It’s not really meant for anyone over the age of 25, and you can really properly appreciate it only if you’re a teenager. It’s therefore an unlikely place to learn about marketing. And yet, I had a deep insight while I was there. The actual music at Tomorrowland only makes up about 30% of the experience. It’s the soundtrack to your life while you’re there – and make no mistake, it’s a great soundtrack – there’s nothing like the right kind of electronic music to make you feel happy and ultimately, that’s what the rest of Tomorrowland is – it’s happiness in a can, the kind that you have to pay big bucks for, but because of that high cost, it’s also high on quality. 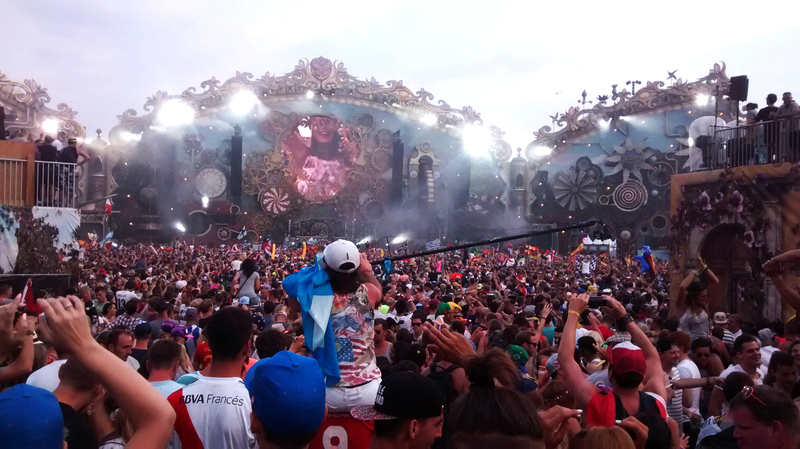 Tomorrowland has decided to own the space of happiness and they’ve succeeded perfectly. And the reason they’ve succeeded at this is because they have got the details right. The sets are elaborate, there are mist machines on the bridges, the costumes of the people who work the vending stalls are perfect. Tomorrowland is the blueprint for marketing managers on how to get the details right. If you learn one thing from that festival, let this be it. No matter how good your product, it can be brought low by a bad experience and the only way to excise the potential of bad experiences is to ensure that every aspect of the user’s journey with your product is a perfect one. In other words, focus on the details. I mentioned mist machines on bridges earlier. Here’s why they’re so important. In the narrative of Tomorrowland, visitors to the festival are in a ‘magical kingdom of happiness where the true potential of their lives are revealed’. I’m not making this up, that’s the actual script of the voice-over in the promo video. If that’s their narrative, to build that perfect magical kingdom of happiness, that means crafting every moment spent within the festival, to live up to that narrative. And placing mist machines to create a magical floating fog over the bridges that span the artificial rivers inside Tomorrowland, so that people who take selfies on those bridges are wreathed in mystical fog helps that narrative. It’s a tiny, miniscule detail, that seems like a total gimmick, but it has its place in the plethora of other similar details that make up the experience. So next year, instead of making your way to a seminar or a conference, try and go for a music festival, to see how to make your brand as perfect. Don’t get swept up ion the festivities, though. Remain aloof and see the workings of the magic behind the scenes. Look for kinks, ways to improve the experience. Then go home and translate that into your own product. Try and live up to the brand experience of Tomorrowland. If you come even 50% close to it, you’ll find a huge improvement in your product and marketing efforts.